I would like to welcome you to GoodMan Recruitment Agency. 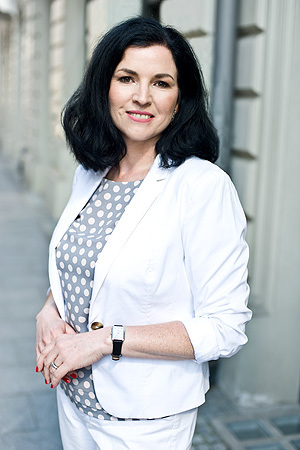 For over 15 years I have been gaining extensive experience in the recruitment industry in Poland and Europe. I have worked in successive level roles in international companies in the recruitment business within the CEE region. Since 2009 I have been, and continue to successfully manage GoodMan Recruitment Agency. Together with my team of Consultants, we use our expertise, professionalism and market knowledge to successfully manage recruitment projects for specialist, middle and senior level positions. During this time we have supported many Polish and international companies to find the right Candidates on the local market in many challenging, niche industries. Our success is based on listening to and understanding the needs of our Clients and being able to match those with the abilities and expectations of our Candidates. We have gained respect, trust and appreciation as a reliable, professional recruitment partner in a challenging market from both Clients and Candidates alike. As the owner of GoodMan, but also as a hands-on manager, I can assure that you will experience only the highest level of quality service. I welcome your interest in our services and I look forward to future cooperation!